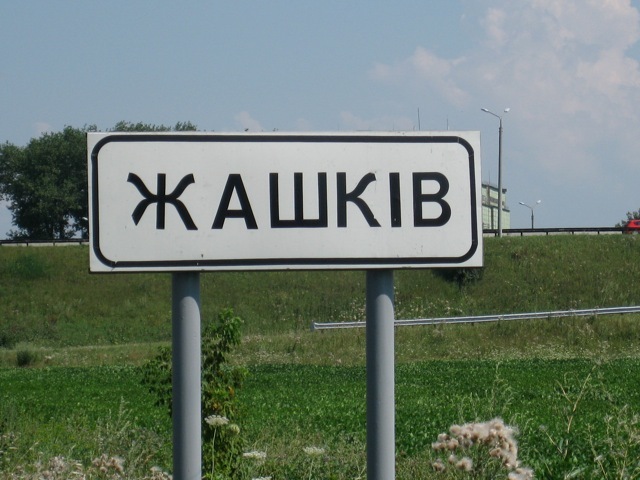 In gathering information about my uncles, aunts, grandparents and great-grandparents, I came into contact with others who shared a common heritage of Zashkov(Yid)(Zhaskiv,Ukr., Zhaskov (Rus) and learned that no one had created a kihilia web site for the town. With the memories of those of my relatives who actually lived in Zashkov before emigrating to the United States and those who died without emigrating, I have created this web site as a small memorial to the times and culture that no longer exists and which may very readily be forgotten in a generation or two. I want to thank those with a shared and continuing community of interest in Zashkov ( and with the computer skills help of my son) who with me have created this web site which in many ways is a continuing work in progress. Zashkov lives as long as we will it to. As a child, I remember my grandparents being active members of what I thought was a burial society called Zashkover Untershtuzing Verein of Philadelphia. These memories became more vivid as I attended funerals of them, and later of my parents generation at Mt. Sharon Cemetery in suburban Philadelphia in the Zashkover owned sections. I also reveled in tales by my grandfather (actually Zayda to me) Jacob (Yankel) Bass (Bas) about parts of his life in Russia and why he left it in 1909. That together with my more recent research has enabled me to put together the following history of Zashkov. Today Zhashkiv, Ukraine is a small town in Cherkasy (province), Ukraine. Its population is in the 15,000 range and is known for its horses. It has at best a handful of Jews. At the turn of the 19th century, e.g., 1900, it had a smaller population population but there were 2445 Jews in it engaging in a variety of occupations including sugar manufacturing (from beets), textiles, inn-keeping, religious, peddling and cobbling to name a few. By 1913 its total population was 5501 and its remaining Jews spread across many occupations, including perhaps one on the ruling town council. (This is based on a photo of a document taken by Hana Hoffman, whose grand parents came from Zashkov showing businesses and names in that year. The photo and translation by Nathan Gabriel can be found on the Bila Tarascha kihilia website) It was and is located about 37 miles south of Bila Tarascha, 35 miles north of Uman, 84 miles south by southwest of Kiev (Kyyiv), and 28 miles southwest of Tarascha. In 1900 and until late in the 20th century, it was in the Tarascha district and in the province (gubernia) of Kiev. At that time and at the present there was a railway station, Zhashkiv which most likely was established in response to the sugar production factories and horse farming in the area. The following map, drawn by Sam Sandler as he recalled Zhaskov in 1916, illustrates the area. Jews have been in what is now the Ukraine for over a 1000 years, including parts of the Khazar Empire whose rulers purportedly converted to Judaism between the 8th-10th centuries which at one point included Kiev. The continued to migrate into the area from Poland, especially under the governance of the Polish/Lithuanian empire. The town of Zashkov is recorded as the site of a major battle in the Russo-Polish War of 1654-1667 in which the Russians ultimately defeated the Poles and annexed the Ukraine. I can find no reference to Jews in the town at that time nor in the devastation of the of the Cmielnicki massacres of Jews and Poles in 1648 but there is no reason to believe they were unaffected. Similarly, there were continuing pogroms in Ukraine with particularly deadly ones in the late 19th century, one in 1905 period that I know affected Zashkov based on what my grandfather told me because one of his brothers was killed in it as a member of the Shomrim defending the town. There were also deadly pogroms in the 1918-19 period, one of which in the Summer of 1919 led by Ottoman Kazak resulted in the death of the town's Rabbi as well as Hersh Reingold, owner of the Reingold Inn shown on the hand-drawn map as well as Moshe Skaratin, one of the shomrim. It that large numbers of the Jews to evacuate the town for safer locations. In the 1920's the Ukraine suffered devastating famine and Jews like others died. I know from personal knowledge that my great-grandmother Tovia Bass died during the famine in the arms of her niece, Gitel Bass in Zashkov. During the period 1875-1930, millions of Jews emigrated from Ukraine to the United States, Argentina, South Africa, UK and Israel (then part of the Ottoman Empire and subsequently the Palestine Mandate. This included many from Zashkov (I have been able to track close to a 1000 emigrants and I am sure there are many more). The emigration is stark proof that life was difficult for Jews under the Russian and Soviet Empires. The Tsar's negative policy towards Jews did not overlook Zashkov. My grandfather told me that the main reason he emigrated was because the not being the oldest son, he was subject to the compulsory draft and had to hide in the out-house of one of the Zashkov churches when they came for him (at the time he was married and had at least 4 sons). Although as seen in some of the vignettes written by Zashovites in the United States which are part of this posting, there was a vibrant Jewish life in existence, people got married, couples had children etc. etc. Nonetheless, the lucky ones were those who were successful in emigrating because the remainder who either chose to stay or were not permitted to emigrate as the world including the U.S. closed its borders to immigrants from Eastern Europe, were essentially wiped out by the Nazis. According to the account of a recent visitor, there are at best only a handful of Jews in Zhashkiv. Zashkov was not spared the Holocaust with the resultant extermination of the Jewish community there. As noted above, Zashkov, now known as Zhashkiv is almost a Jewless town today, but still has its railroad station, its horse breeding industry and its Jewish memories including an old Jewish cemetery with a few gravestones still remaining (see photos taken by grandchildren and great-grandchildren of those who emigrated posted on this web site. While the Jews are essentially gone, there is a small Jewish museum with a few Judaica relics, echoing the museums established by the Nazis in Czechoslovakia as a monument to exterminated races. Although Jewish Zashkov essentially no longer exists, those that emigrated to the United States set up active Verein(fraternal) societies in New York City and Philadelphia. Particularly in the 1920's-1950's these were vibrant associations that not only provided for burials, but also a social network that facilitated marriages, business relationships, and assistance to those who were still trying to emigrate. Selections from publications of those societies are part of this posting. Those that emigrated to New Haven and Baltimore kept in touch with their "landsmann" via these societies. Many of those who emigrated from Zashkov became well known in later years. For example Moshe Dayan, son of Shmuel Dayan. Samuel Noah Kramer (born Zashkov 1897), the renown Ancient Near East Professor and writer ( "History Begins at Sumer"), and of course, my own uncle Benny Bass (born Zashkov 1903) who in the 1920's and 1930's went on to hold two World Boxing Titles.